"You work for weak assholes who don't have the guys to talk to their partners!" "Yep." 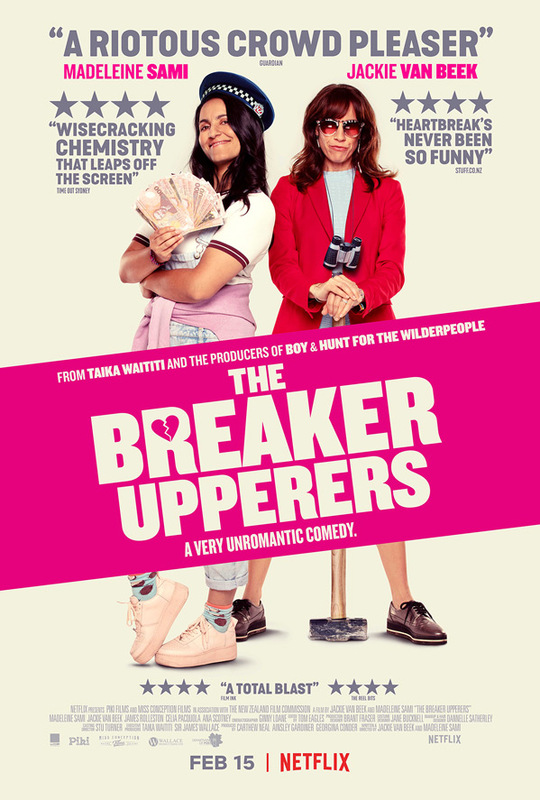 Netflix has unveiled an official trailer for a comedy from New Zealand titled The Breaker Upperers, which premiered at the SXSW Film Festival last year. Executive produced by Taika Waititi, the film is co-written and co-directed by the two women who star: Madeleine Sami and Jackie van Beek. The two play best friends who bonded when they were younger after finding out they were being two-timed by the same man. Together they create The Breaker Upperers, a small-time business helping couples break up for cash. The cast includes James Rolleston, Celia Pacquola, Ana Scotney, Rima Te Wiata, and Carl Bland. This does look hilarious, and it's an original concept these two came up with and have worked passionately on to make it really sing. Fifteen years ago, Mel (Madeleine Sami) and Jen (Jackie van Beek) discovered they were being two-timed by the same man. Bitter and cynical they became fast friends and formed The Breaker Upperers, a small-time business breaking up couples for cash. Now they're in their late-thirties and business is booming. They're a platonic, codependent couple who keep their cynicism alive by not getting emotionally involved with anybody else. But when they run into an old victim, Mel develops a conscience and their friendship is truly put to the test. 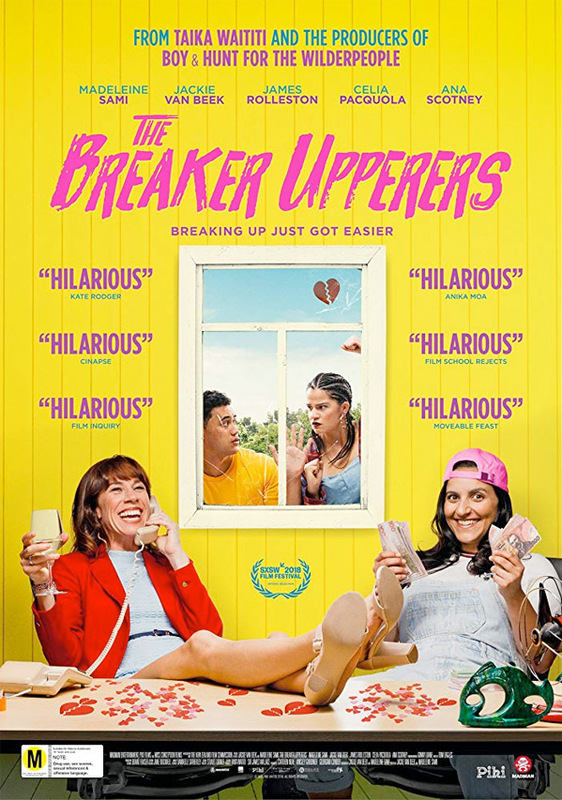 The Breaker Upperers is co-written and co-directed by Kiwi actresses / comedians Madeleine Sami (making her feature directorial debut) and Jackie van Beek (director of the film The Inland Road previously). This premiered at the SXSW Film Festival last year, and also played at the Sydney Film Festival. Netflix will release The Breaker Upperers streaming exclusively starting on February 15th.